The Melbourne property market has seen an influx of auctions over the past fortnight just in time for the Melbourne Cup. 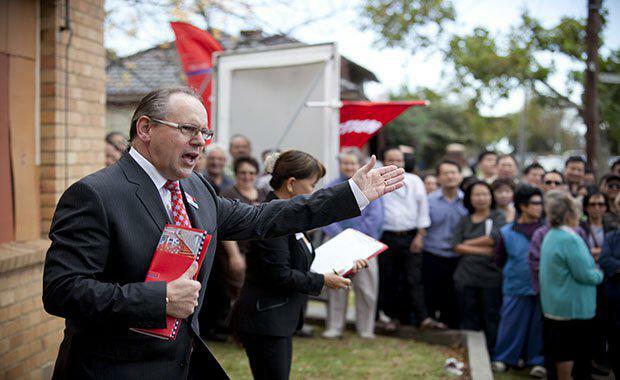 Commonwealth Bank reports there were more than 900 sales made on 1,187 auctions across the city on Saturday, as per Australian Property Monitors (APM), however by RP Data’s weekly count there were actually 1,083 sales on 1,535 auctions. The latter would represent a record number of auctions held in the city in one weekend, beating the previous record of 1,365 achieved at this time last year. As a result, the clearance rate, or rate of auctions converted into sales, was rather good at 71 per cent, which is about on par with recent weekends. According to RP Data the following week saw 670 property sales on 985 auctions in Melbourne with a clearance rate of 68 per cent. News.com.au over the past few years this week in October has been popular with sellers. Herald Sun the high number of million-dollar sales indicated a strong local market. He said the record sales meant future buyers would have to be prepared to fork out similar prices to secure a home in the area. According to News.com.au the auctions hot spots included Brighton and Richmond, which each hosted 27 auctions, followed by 25 in Hawthorn, 24 in Reservoir and 23 in both Brunswick and St Kilda. MyWealth News reports in the year to August, St Kilda’s house prices have risen by 18 per cent to a sales median of $815,000, according to RP Data. This is slightly higher than the overall sales median for the city this past weekend of $800,000, as per APM. House prices in St Kilda are surely helped by short supply, when compared to units. According to APM’s suburb report, about 64 per cent of dwellings in St Kilda are units; with the strong supply perhaps a reason why price growth on units has been flat of late. By contrast, Hawthorn East has greater balance in its market, with houses making up around 44 per cent, according to APM’s report. This appears to have helped boost price growth on houses there, which have risen by 24 per cent to a median sales value of $1.5m. It also has a number of good schools and is well connected by public transport. Hawthorn East generally has a young professional demographic and judging by some of the recent prices paid in the area is quite affluent too, based on APM’s reporting. For example, a three-bedroom house sold for $1.3m on the weekend, while another sold for $1.4m, and a four bedroom house went for $3.2m.